From bustling cities like Chicago to education hubs like Urbana-Champaign, Illinois has something to offer everyone. Wherever you’re headed, choosing the right mover will make your long-distance move much simpler. Whether you’re moving from NJ to Illinois for your career, your family, or just a change, Simonik Moving & Storage is the trusted company you can rely on to get you there without stress, delay, or extra expense. We’ve offered professional moving services since 1977, and our terrific commitment to customer satisfaction has earned us accreditation from the Better Business Bureau along with several industry awards of excellence. 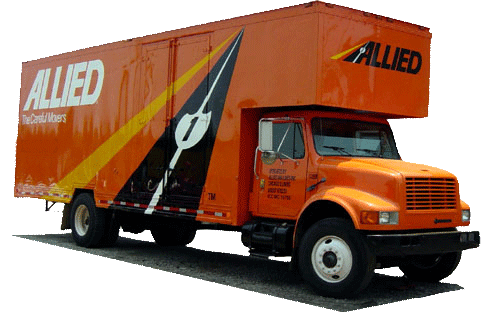 As an agent for Allied Van Lines, we’re part of a nationwide network of moving and storage professionals—giving us the partnerships, technology, and professionalism to handle household moves anywhere in the United States. Whether you’re moving yourself into a small urban studio or your entire family into a large rural home, it’s important to work with a professional moving company that is equipped to meet each and every one of your unique needs. To make sure we understand them, we’ll start by offering an in-home cost estimate with a Simonik household moving specialist. We’ll then assign you a professional Relocation Coordinator to serve as your point of contact and guide you through the process of moving to Illinois from New Jersey. We know that your needs may change while you move from New Jersey to Illinois—and that’s okay! We carefully pack household items in containers specially built for long-distance moving; if you’d like to wait a few days, weeks, or even months before receiving your things, we’ll happily store these containers for you in our secure warehouse facilities. Our short- and long-term storage options give you the flexibility you need to finish your move on your own schedule. We’re proud to service households throughout North and Central Jersey including Hunterdon, Mercer, Middlesex, Monmouth, Morris, and Somerset counties. But we don’t just serve these areas; we lead them! Our commitment to moving excellence has earned us the “Mover of the Year” award from the New Jersey Warehousemen & Movers Association, as well as ProMover membership with the American Moving and Storage Association. Our industry affiliations keep us apprised of the latest requirements for long-distance moving, giving you complete confidence in our ability to handle your move from NJ to Illinois. Supported by a local team with nearly 40 years of experience, NJ to IL moving doesn’t have to be stressful. Give Simonik Moving & Storage a call today to learn more about our professional moving services! To request your free, no-obligation cost estimate, complete our simple online quote form now.